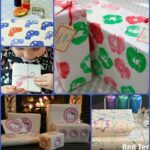 How I love the Christmas season – whether it is Edible Christmas Ornaments or wonderful Christmas Crafts for Kids – we love it all! 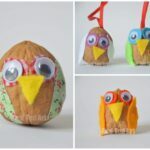 There are so many wonderful and delightful Christmas Crafts to do with the kids. Each one lovelier than the other and a great way to build those wonderful childhood memories! I particularly LOVE LOVE LOVE these mini Gingerbread houses (Mini Knusperhauschen), again, from Germany. Some of you may know that I love to get Christmas Baking with the kids at this time of year. But some of us are not so keen on baking, others *just don’t have the time*, or could it be *shock horror* that you just don’t like gingerbread? 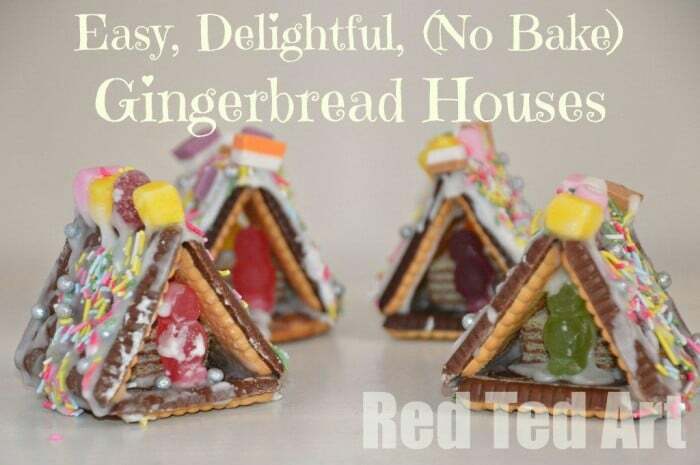 Fear not, we have these ADORABLE mini “gingerbread” houses for you. Ok, so mine are not actually GINGERBREAD nor are they Lebkuchen, but they are cute and they are covered in sweets and they DO look the part. 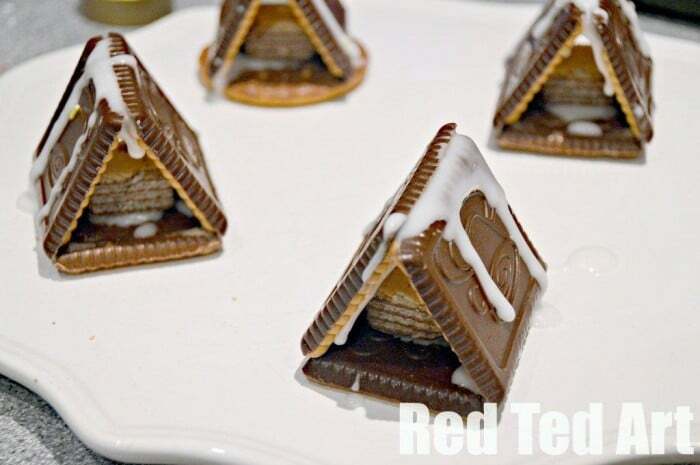 And if you REALLY want to, you CAN make them out of gingerbread. Enough said. Let’s get on with it! This post was first shared many moons (2012?) ago and has been updated and republished for your convenience! We made these as part of a play date. I am sure you could have ago and make them much prettier, but then the kids wouldn’t be able to have a go…. If you do make them as a part of a LARGER playdate, I recommend doing 1-3 in advance to give the icing sugar time to dry. sweets and sprinkles of choice for decorating! 1) Mix some icing sugar and water into a THICK paste. You really do not want it to be too runny! 2) Add icing sugar to the bottom of your “cube” and stick down. 3) Then add icing sugar to the two long edges of your biscuits and connect the 3 biscuits as per photo. LET DRY! I prepped some for our play date. 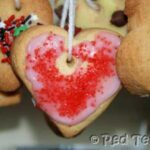 You can of course start decorating straight away, BUT you may find your biscuits sliding away under the weight of the sweets. 5) Ta da! Munch away! 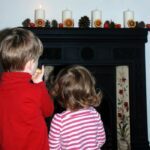 Creating a magical Christmas for your kids! These make wonderful gifts for friends, family and neighbours too! 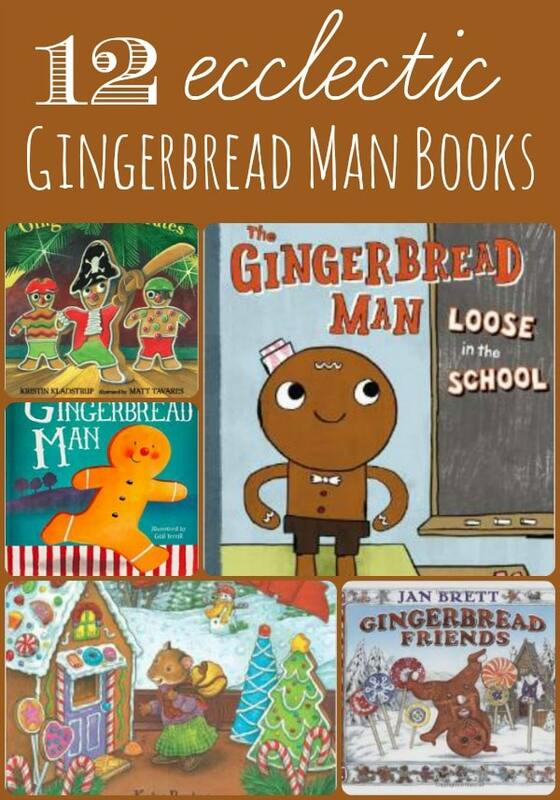 If you love the more traditional GINGERBREAD HOUSE and the Gingerbread Man.. you may just ADORE these Gingerbread Man Books! Those are so clever! I just love them. 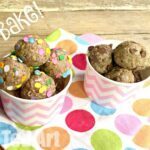 These look like so much fun and yummy! I am yet to taste gingerbread. 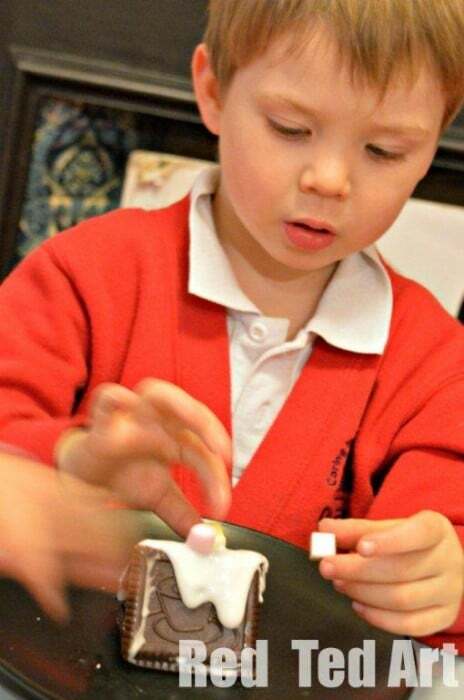 But all these decorated gingerbread houses makes me want to try it with Putti. And your ideas seems very easy for us to try! Thanks for sharing. Oh wow how cool is that. 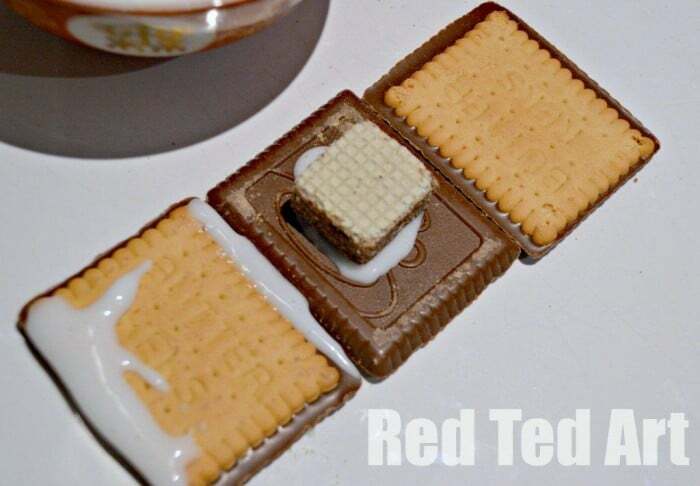 Never thought of using biscuits to build a house. Thanks for sharing. So pleased you like them ladies!! 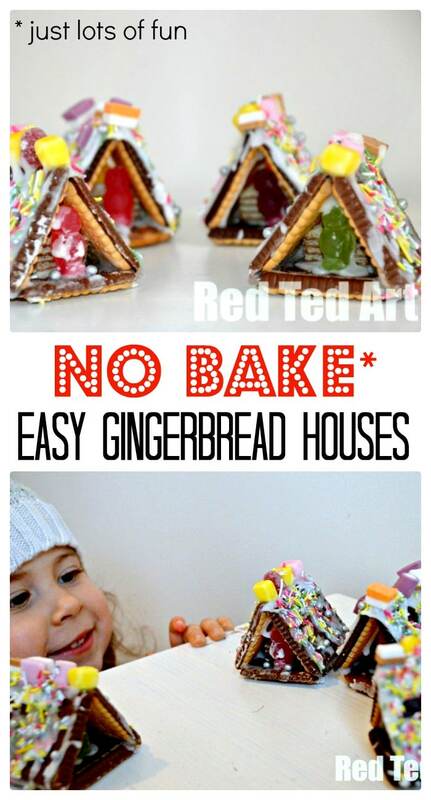 And Roopa, DO try gingerbread or make these with ordinary cookies!! Have fun, would love to see any photos should you get round to taking some! 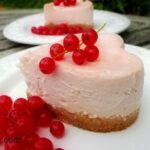 love this idea : ) so pretty and easy to do! I hope you have fun making some! I kind of fancy doing more now!!! I wonder if I could get a whole one in my mouth all in one go. Only one way to find out …..
but it would be delicious mess and mainly in my mouth! I am definitely going to try these. I’m not sure what icing sugar is, though. Is it something you make or buy? Hello Elisa – it is Powdered Sugar in the US! You just add a tiny bit of water to make a paste. 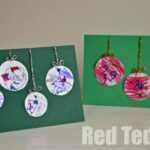 Maggy… another amazing idea shared at Red Ted Art. I love these!!! I’m featuring at this week’s party. Thanks for sharing at For the Kids Fridays! Awe thanks! I do appreciate a feature!! Oooh fantastic! Have lots of fun! I just love these, especially that each child can make their own and it’s not too big! Pinning for later for sure! I think we’ll use this for our Christmas party! Thanks for the wonderful idea! 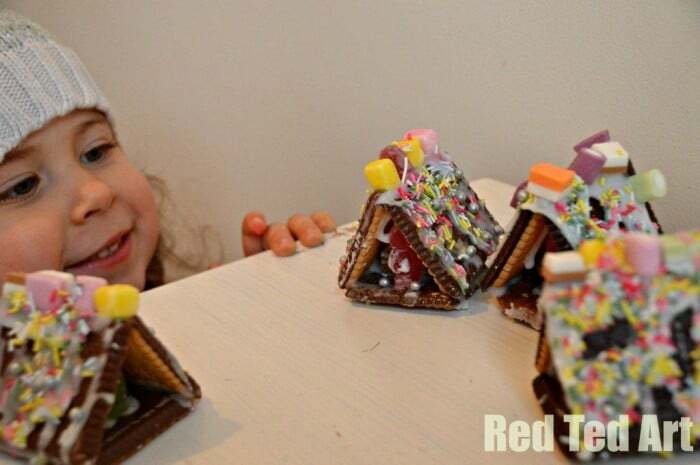 What fantastic gingerbread houses – and I love that they’re completely edible. Thank you for another great idea! Another idea is to use the small chocolate milk 250 ml size, and ice the sides add graham cracker squares, and rectangular pieces on the top to create the house than decorate with candies and icing. I’ve also made Royal icing which is thicker and holds the houses together better. Sounds great! If you have any photos, I would be happy to add them! !